Being a parent, sometimes keeping the house tidy stretches to about as far as making sure no one can trip on anything! If like my house, the hallway is full of shoes, coats, handbags, bookbags, umbrellas, wellies even the occasional football and scooter then maybe it’s time to revaluate your homes hallway! But don’t worry if you don’t have a huge budget – here we’ll look at a few ideas of how you can update your entryway without breaking the bank! The entrance of your home sees a lot of traffic, which means that your flooring goes through a lot! Take it from me, having a light-coloured carpet in the hallway is a bit of a nightmare – especially on rainy days or after muddy walks! So, what can you do to make it look fresher? Well, have your thought about replacing it? 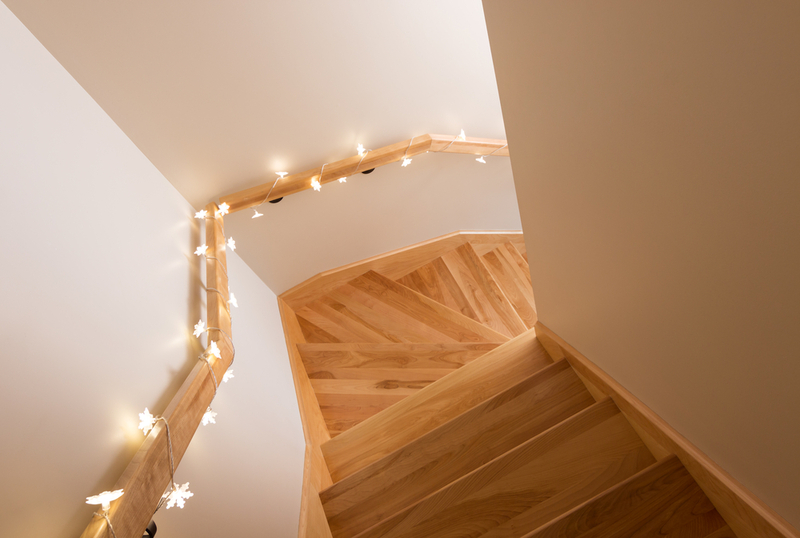 If your hallway is on the small side, then it may be possible to purchase off cuts or get a decent price for a smaller quantity for a high-quality flooring solution. Think laminate, or hardwood flooring, maybe even tiles? If you’re in need of a little inspiration, then check out discountflooringdepot.co.uk for some flooring ideas. If you already love your flooring or don’t wish to change it, then why not mix things up by adding a rug? Do your kids like kicking their shoes off at the door, not caring too much where they land? That soggy book bag slapped up against the wall? Well, like your floors, the walls in your hallway also get a daily hammering, making them look tired and grubby! The simple solution to this, is to refresh your walls with a lick of paint. If you’re thinking of a colour change ad your hallway is quite a narrow space then avoid very bright, cheery colours. It seems odd, but quite often bright and loud colours make a small space feel boxed in and restricted. It may also look a bit odd to have a colourful hallway and a delicately coloured living room! Try more, cool colours like an off-white grey. We don’t spend much time in our hallways; we usually whip off our shoes and coats and head into another room; meaning that we don’t notice how dark and dingy they can be. Investing in a new overhead light or stylish lighting fixture can really shed some light on the situation. Brightening the space and who knows, maybe helping you find that missing shoe! As mentioned earlier, the hallway can often be a bit of a dumping ground when it comes to shoes and coats and things. The best way to tackle this is to invest in some decent storage solutions. Why not try a new coat stand? Or find a cheap ottoman or rack to store all those shoes in? Or, you could completely banish all the clutter and find somewhere else to store all the coats and shoes. Under the stairs for example. We have such a small hallway. It is literally the bottom of the stairs.